Welcome to 2013! 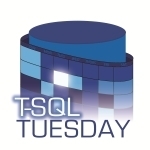 I’m not usually one for making resolutions based on the year changing, but the topic of this month’s T-SQL Tuesday, courtesy of Jason Brimhall is on "Standing Firm", which is awfully similar to the MacLeod clan’s motto: "Hold Fast". It’s too cold/wet/windy/dark to go out. There’s nothing but hills around and I want something flat. Choose a goal to ride for – in my case it’s getting the fitness back, trying to ride more kilometres than @woodgreg, and spending time with my cycling friends that have been awfully neglected lately. I’ll need a stronger goal soon, but that works for now. My left shifter only has a short life left, and you can’t buy 9 speed replacements. Solution is to prepare early, and get a new bike ($$$), or overhaul to 10 speed ($$). It’s light outside at 6am now, but soon it will be dark, and I don’t want to bother with contacts lenses at 6am, don’t want to wear normal glasses, and it’ll be too dark for my prescription sunglasses. Solution: look into prescription cycling glasses – it’s a solved problem. Do it before I need it. Not enough sleep? Get to bed earlier, although I’ll probably need badgering from my wife, as there’s always something more interesting to do than sleep. Too cold? Get the right gear. Too wet? Get the right gear. Too windy? Harden up a bit. Jim, what’s this got to do with databases and standing firm? Good question. The steps above show how my resolve is strengthened, not by force of will alone, but by putting together an environment that helps keep me on track. We can apply this to the SQL Server certification process. If the goal is to study for a specific exam, what are the possible problems that can crop up? I just don’t understand this material. I’m too tired to study. I don’t have the right materials/equipment/practice environments. There’s just too much to learn! I have no interest in this – I’m just doing it because my boss wants me to. I’m sure there’s other reasons, but you can follow the same process for any objections. If you don’t understand the material, you may need someone to help you work through it. Find a friendly SQL Server person, offer them coffee in exchange for some of their time. If your brain is too tired at the end of the day, consider studying during a lunch break, before starting work, or arrange with your boss to spend an hour each morning studying (and thinking how you can apply the material to your job). If you feel overwhelmed by the amount of the material, break it down, and resolve to learn one subject a week. If you have no interest in the material, then considering this excuse may be the reflection you need to decide whether this is actually right for you. That’s it. Put together an environment that supports and encourages you to stick to your resolution. I’d also recommend spending a few hours a week on a bicycle. It’s fun, it gives you a lot of exercise, and plenty of time to compose your thoughts. I think it’s no coincidence that my blog posting frequency correlates to those times when I was riding a lot!